Towing motor vehicles is something best left up to true professionals, less than highly proficient execution of a tow may end up with damage being inflicted on the towed vehicles or ones in its vicinity. Even worse, unprofessional operation of auto towing gear may result in injury and even death. When you need to have your vehicle towed, for whatever reason and whichever kind of vehicle it may be, you can count on us at Silverline Towing to do it for you quickly, safely and for a highly competitive price. Silverline Towing is a veteran provider of auto towing services in the East Bay, we are a local firm and therefore highly committed to offering top class auto towing and roadside assistance services. We perform our services with the cooperation of an independently owned and licensed tow truck operators. Our techs are highly professional and are using state of the art equipment. With Silverline Towing you need not wonder whether or not we can provide you with the type of tow you need. We can tow any type of vehicle, motorcycles, minivans, vans, trucks, mobile homes, all terrain vehicles and SUVs included. In the same way you can count on us to tow your vehicle over any distance, it may be a local tow that you need or a long distance one, we have the necessary gear and professional techs in order provide you with the auto towing service you need. Since we provide the best possible kind of auto towing services in the East Bay you will be glad to know that we work nonstop, this means that our services are available 24/7, all year round. Our dispatch is always manned and we always have a manned tow truck on the ready to be sent off your way without delay. With Silverline Towing you get not only highly professional auto towing services but also super fast ones. 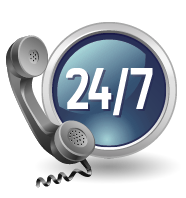 Our tow truck will arrive within a short time from the moment you place your call. It does not matter what kind of auto towing service you need, whether its towing a motorcycle over a relatively short distance or towing a mobile home long distance to a far off destination, with Silverline Towing of the East Bay, you will find that we offer the towing service you need at a price that our competitors find hard to match, it is our high efficiency and the honest billing policy we follow which ensure that our rates are among the lowest to be found.